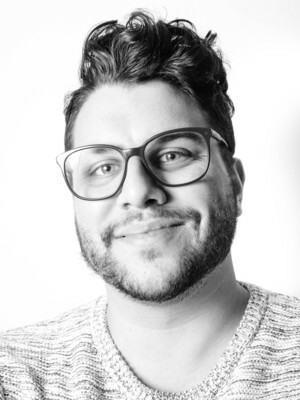 Gavin Johnson is a PhD candidate in Rhetoric, Composition and Literacy, and his research traces the intersection and interplay of power, production, and possibility through pedagogical spaces both within and outside of the writing classroom. He is particularly interested in digital media, rhetorical invention, composition pedagogy, and queer rhetorics. He currently holds appointments as the graduate administrative associate for the Second Year Writing Program (English 2367) and a graduate teaching associate. He and Laura Allen served as Associate Directors of the 2018 Digital Media and Composition Institute (DMAC). He is currently working on multiple research projects including a forthcoming chapter titled "Grades as a Technology of Surveillance: Normalization, Control, and Big Data in the Teaching of Writing," a forthcoming article in Pre/Text: A Journal of Rhetorical Theory titled "From Rhetorical Eavesdropping to Rhetorical Foreplay: Orientations, Spacetimes, and the Emergence of a Queer Embodied Tactic," a co-edited collection with Jennifer Burgess titled "Widening the View: Essays on Feminist Historiography, Ephemera Evidence, and Rhetorical Education in Honor of Nan Johnson," and an ongoing collaborative project with Beverly J. Moss, Michael Blancato, and Sara Wilder examining the Literacy Narratives of Black Columbus course. Gavin has presented his research at the Conference of College Composition and Communication (4Cs), Computers and Writing Conference (#cwcon), Feminisms and Rhetorics (FemRhet), the Conference on Community Writing, Cultural Rhetorics Conference, the Conference of Writing Program Administrators (CWPA) and the Popular Culture Association in the South and American Culture Association in the South (PCAS/ACAS) Conference. He participated in the 2017 Rhetoric Society of America Institute in a seminar on Queer Archival Methodologies. He is the winner of the 2018 Eric Walborn Award for Excellence in Digital Media and English Instruction as well as the 2017 CCCC Gloria Anzaldúa Rhetorician Award, a competitive national award presented by the National Council of Teachers of English (NCTE).